Im a Fan of Yankton Pizza Ranch... Are you? Fill in the below form and you can recommend ‘Yankton Pizza Ranch’ to a friend or family member via a text message. 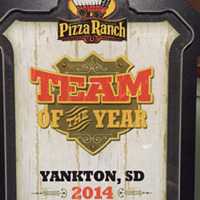 Show your support with a quick share of ‘Yankton Pizza Ranch’. The food is \”always\” fresh, and hot\”!!! The variety is amazing and the price is \”right\”!!!!! \”Plus\” u can earn \”free\” food if u join yhe pizza ranch club\”!!!!! The food is wonderful every time I go there and the staff is always friendly and very efficient in keeping the restaurant clean and the buffet will stocked. Awesome salad and hotbars! If we dont feel like eatting pizza their chicken and available sides are great! Staff is always friendly and ask if they can put a favorite pizza on the buffet! Totally worth the trip! Friendly staff, the get food out quickly, and nice variety of pizzas. We make the 30 minute drive, at least once a month. Great place to eat.Food is always good and the service is friendly.The family loves to eat here. There is something for everyone. The staff is great! I love the bacon cheeseburger pizza! Annie & her staff are the best ever. They are community oriented. They host events for different causes. They are always cheerful no matter how busy they are. They are constantly asking if you need anything. You can special order any thing that’s available. The staff is constantly clearing tables. I appreciate how much they support the community offering delicious fundraising opportunities! I also love ordering a Tuscan Roma pizza to be served to me with the purchase of their buffet! The Yankton Pizza Ranch is a friendly, clean restaurant with great food. The food is delicious, service is great, the staff are friendly. So glad we have the Yankton Pizza Ranch. I love Pizza Ranchs pizza and chicken and their variety of other foods. I like how you can order whatever kind of pizza that you want when you dine there along with their varieties of pizza. Plus I love having salads along with my pizza and chicken. The staff is so nice and accommodating also. Love the chicken, green beans, and salad bar and getting to chose a pizza when you walk in and it delivered to your table first. Love the variety, ask if something special you want & they make it & deliver the first pieces right to you. Staff is friendly & courteous. We LOVE our Yankton Pizza Ranch! Annie and her staff are great! We frequent weekly, and are never disappointed. PIZZA RANCH Yankton has a wonderful selection of buffet choices to get the whole family feed. The food is well prepared and always the buffet is kept full. Restaurant is very clean especially the restrooms. Staff is very friendly and eager to assist in any way. Our yankton pizza ranch is a great place to eat. The owners and workers are extremely nice, their on top of things for you. Like cleaning the tables, asking if u need anything. It’s just a wonderful family restaurant. Thank you. Great food and service. They also help the non-profit groups in Yankton, with their fund raising. I’m a fan not only because of the food but because of the people that work here. They always have good friendly smiles and make you feel like your at home. I am a fan of the Yankton Pizza Ranch because the food is always perfectly prepared and presented. The restaurant is always clean and well appointed. 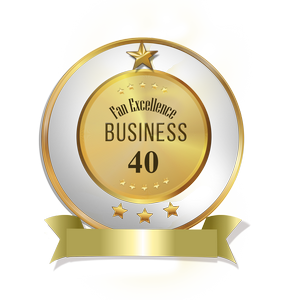 Perhaps most importantly, the staff is always courteous and helpful. I find the food to be delicious and reasonably priced. My Yankton Pizza Ranch is a family favorite! I love what Pizza Ranch stands for. They have a great Vision statement and I appreciate their values and their participating in the community. I love the Yankton Pizza Ranch. I think I could eat their chicken every day. The Pizzas are also great especially the desert ones. The staff is usually helpful and friendly too. Love the chicken. It is better than I can make it. The double pepperoni and Tuscan Roma are the BEST pizzas. Also love the dessert pizzas. We eat at Yankton’s Pizza Ranch almost weekly! They do my Sunday cooking for me! It always tastes good, there is always a great variety of pizza set out, and the chicken is amazing! Great atmosphere and positive attitude by workers.. best pizza ranch I have been to from the food to the great service with a smile. Pizza ranch will always be my family!!! Such a wonderful crew and always working there hardest! Their chicken is outstanding and the staff makes it enjoyable to be there! Friendly staff and great chicken! Yankton Pizza Ranch is awesome! From the food to the staff we give it 5 stars! They go above and beyond to make sure your needs are met! Pizza Ranch is the best!